Section 211.01 (A) of the Master Agreement specifies that teachers who wish to be considered for a vacancy shall submit their cover letter, copy of current certification for the position they are seeking and their résumé. Include the position number of the vacancy you are applying for in your cover letter. Utilize email or hand-delivery (when possible) of your application instead of relying on school mail. Please Note: Often times the District updates their postings on the Intranet multiple times during a round. Please ensure that when applying for a position that you are referencing the latest posting. To access the CCS Intranet from home, go to http://ccsportal.columbus.k12.oh.us. 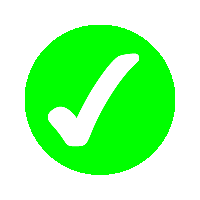 The annual CEA Staff Survey, as provided for in the Master Agreement, is complete. Our members study the results closely during the 211 process as they consider applying for posted positions. 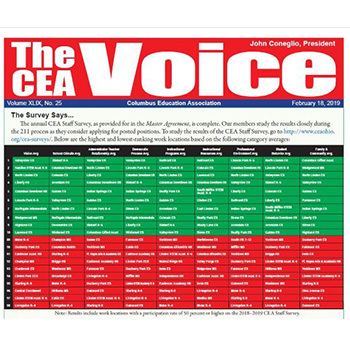 To study the results of the CEA Staff Survey, go to http://www.ceaohio.org/cea-surveys/.